"The shield that protects the Earth from solar radiation is under attack from within. We can’t prevent it, but we ought to prepare..." is the ominous sub-headline of a worrisome new report that shows scientists around the world fearing that the earth's magnetic field is shifting, with potentially disastrous consequences for mankind. "When next the poles change places, the consequences for the electrical and electronic infrastructure that runs civilization will be dire. The question is when that will happen." As SHTFplan.com's Mac Slavo notes, scientists from the University of Colorado in Boulder are sounding the alarm that the Earth’s magnetic poles are showing signs of reversing. 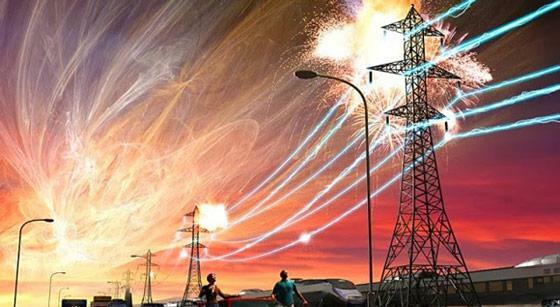 Although the pole reversal, in and of itself, isn’t unprecedented, the solar winds that would take out the power grid and make parts of the globe uninhabitable could cause widespread disasters. “This is serious business,” Richard Holme, Professor of Earth, Ocean, and Ecological Sciences at Liverpool University told MailOnline. "No lights. No computers. No cellphones. Even flushing a toilet or filling a car’s gas tank would be impossible. And that’s just for starters."